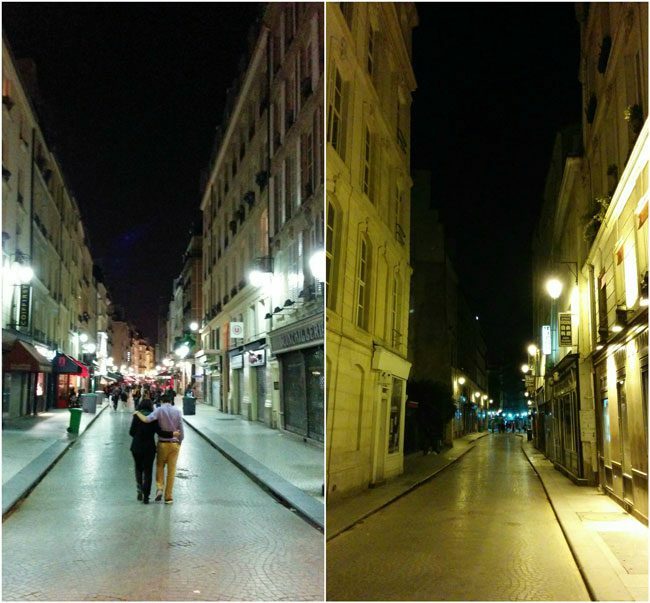 Unlike many modern “mega cities”, Paris is actually a city that’s made for people to live in it. 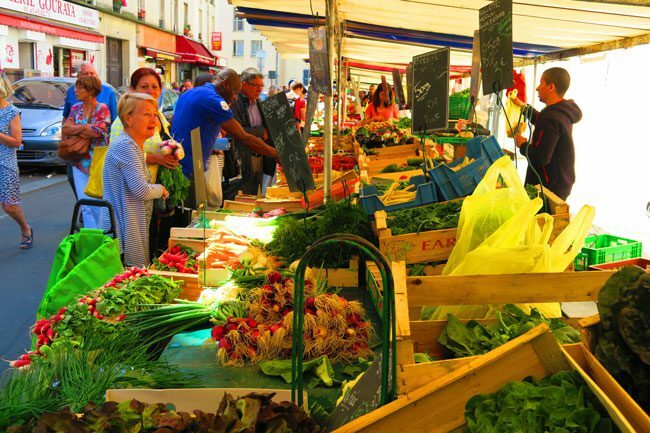 Every neighborhood has its school, gardens, bakeries and most importantly – a market. 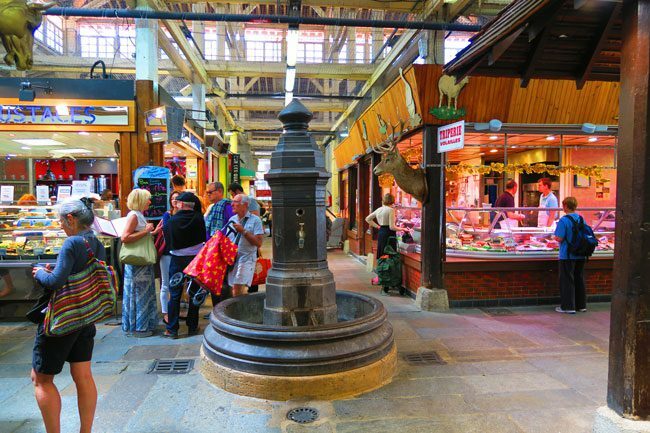 In this post, we’ll explore 14 of the best food markets in Paris! 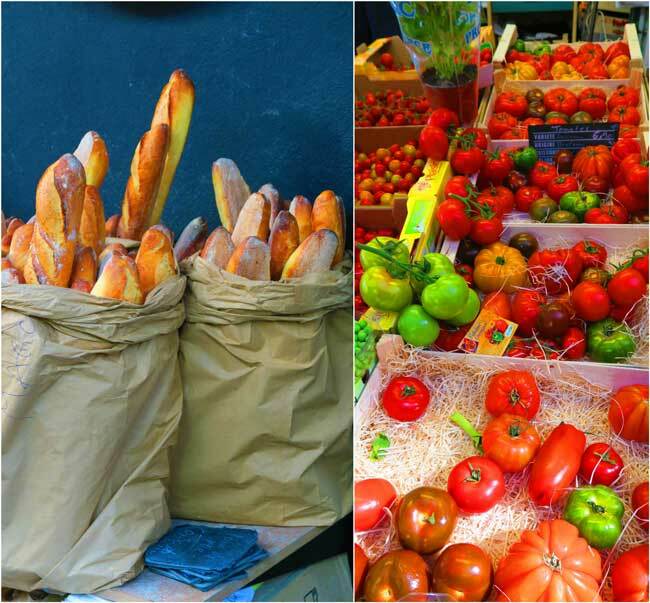 Covered or out in the open, you simply cannot go wrong with a visit to a Parisian market. 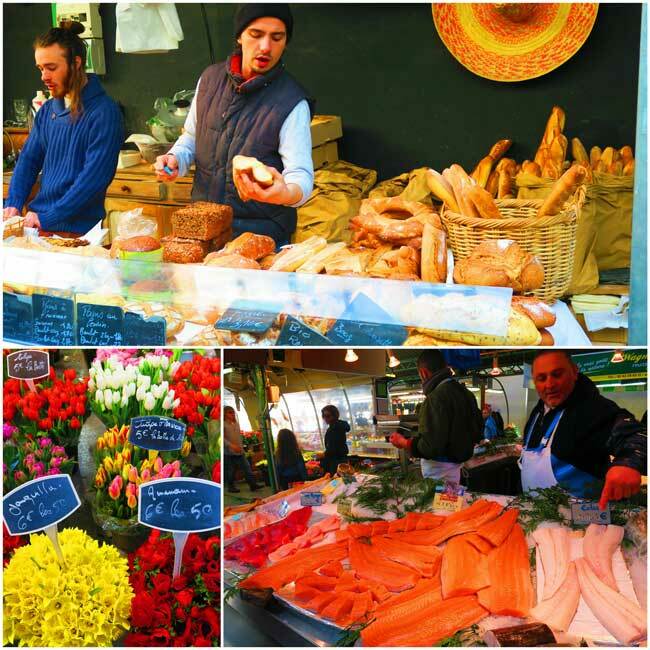 I always liked spending my weekends in Paris exploring a different neighborhood and always liked to start the day with a visit to the local market. 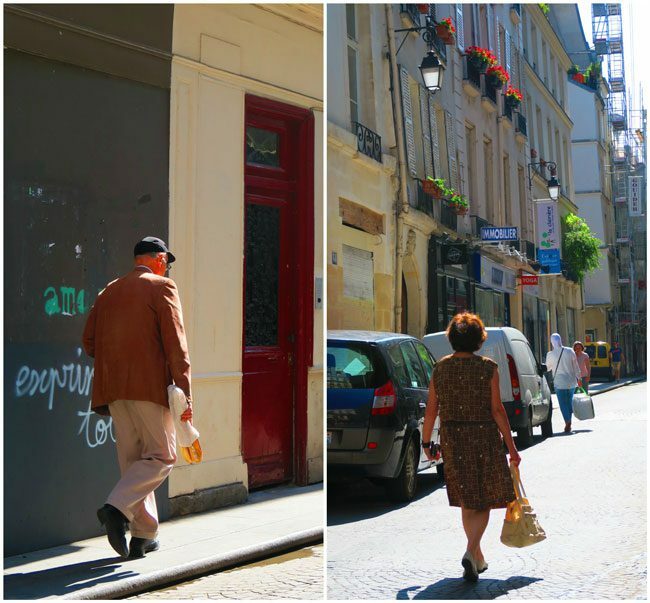 There’s no better way to get a sense of local life, than by walking among Parisians who are going about their morning routines. In Paris, there’s so much attention to detail in every corner of life. From the grand palaces to the metro signs, there’s chic everywhere. 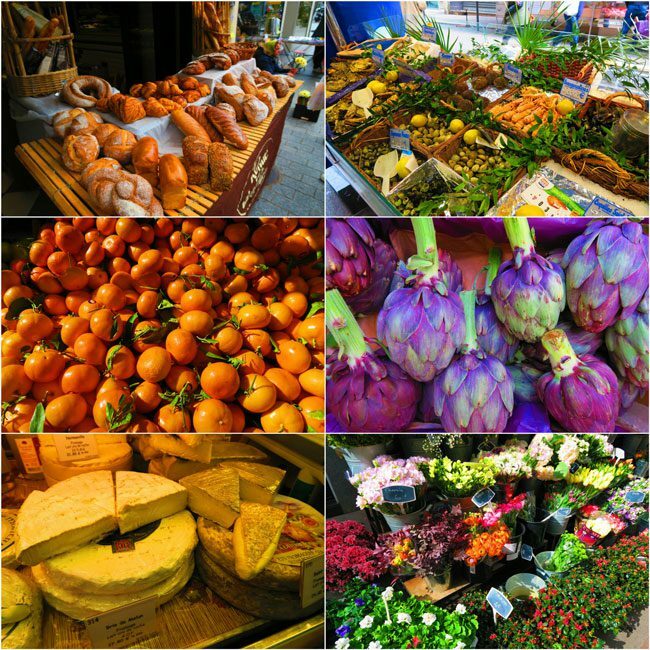 The same is true in the markets, where asparagus and artichokes combine forces to create artistic designs, and where even potatoes and carrots can draw your attention. 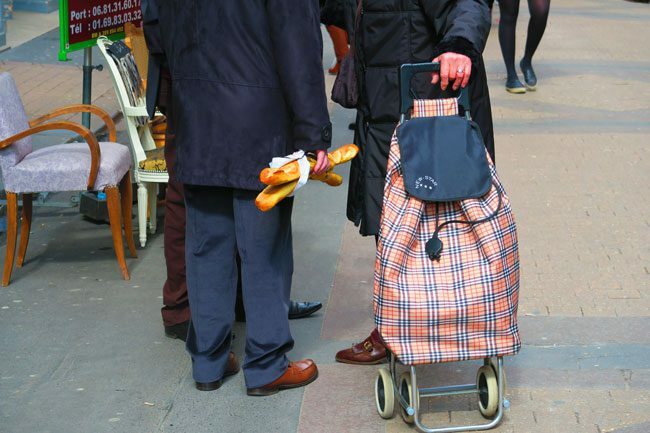 For the visitor to Paris I can share one friendly tip – always be prepared for a picnic lunch in one of the nearby parks. 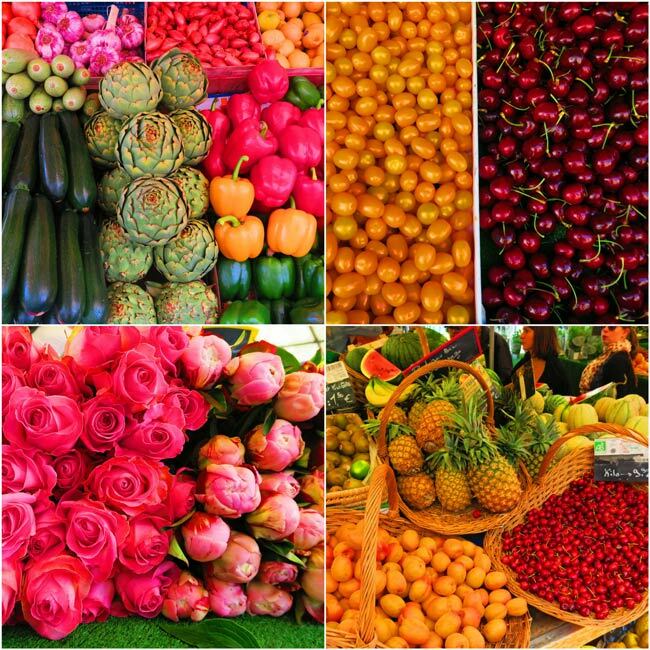 You won’t be able to leave the market empty handed! 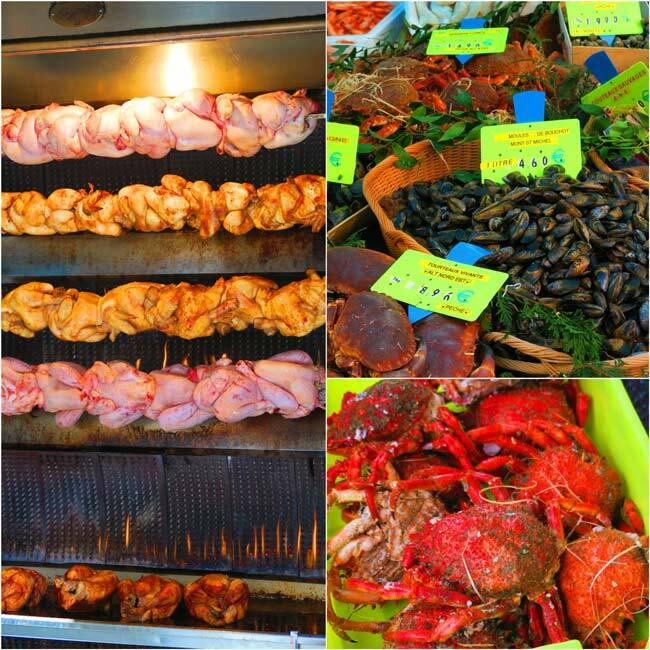 One of my favorite market streets in Paris, there’s something to do on Rue Montorgueil at all times of the day. 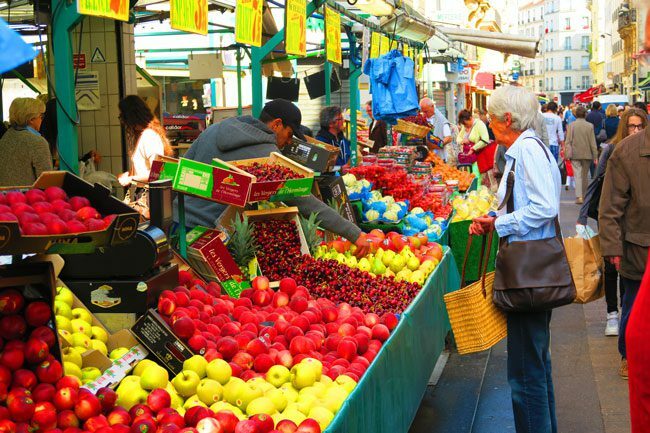 It’s one of the best markets in Paris. 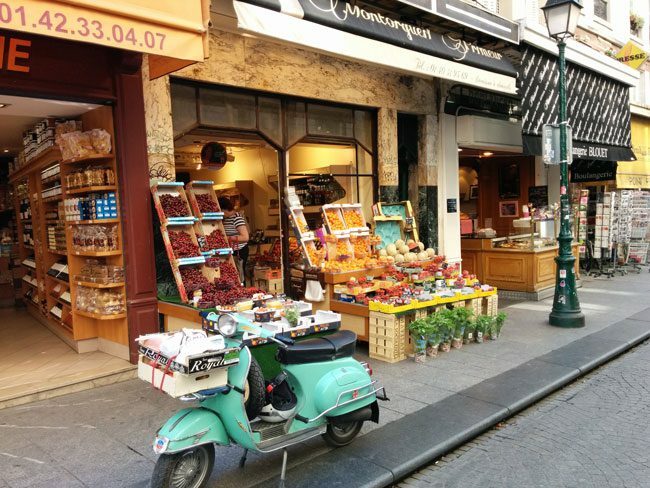 Mornings are perfect for doing some food shopping and grabbing breakfast, as locals pour in from the side streets. 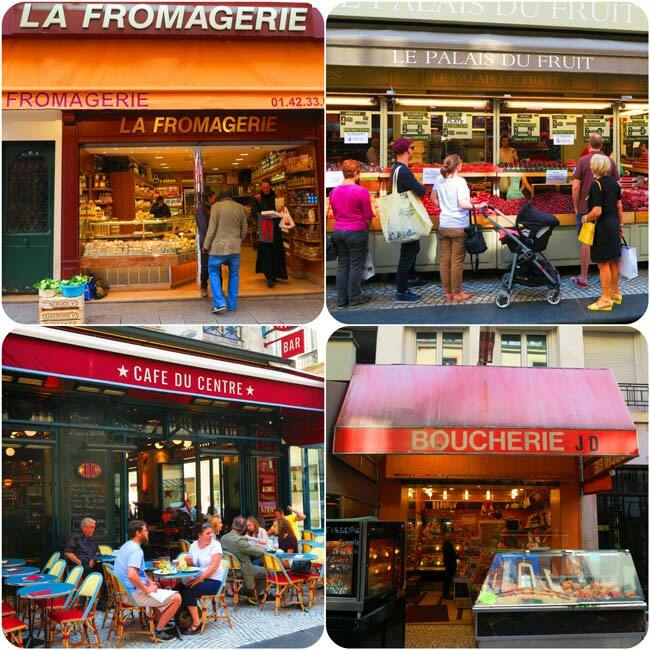 Have a stroll and stop at the local cheese shop or perhaps the bakery, and afterward find your favorite cafe to start your day. 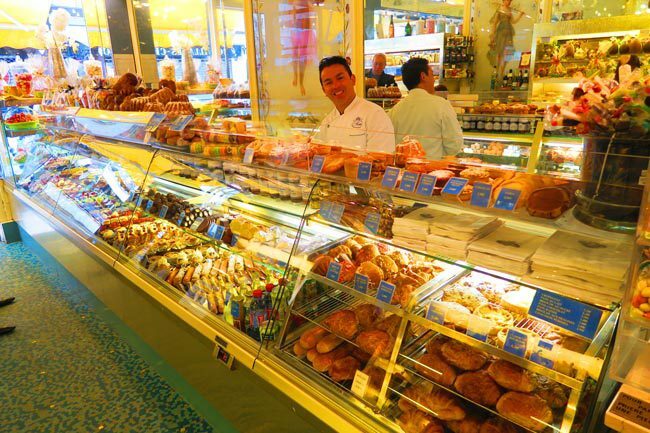 Don’t forget to stop by Pâtisserie Stohrer. 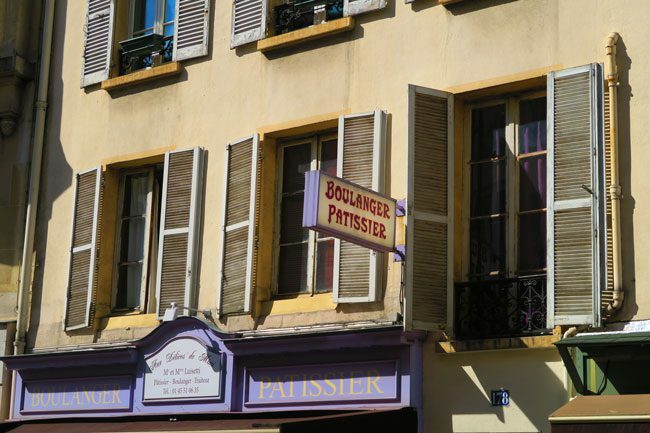 They’ve been making delicious pastries and baguettes since 1730! They’re so good at what they do that they’ve even been selected to bake for Queen Elizabeth. 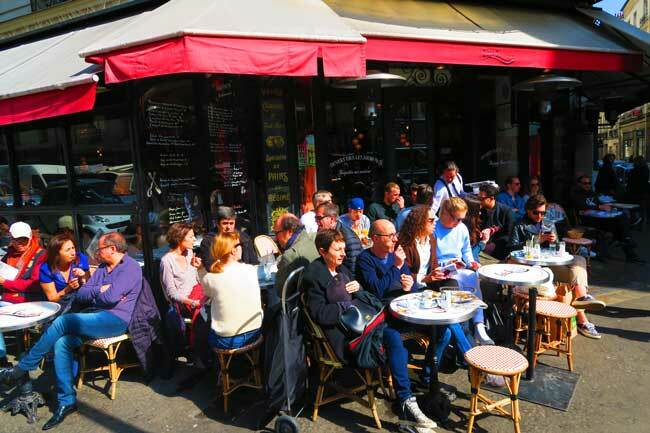 During the evening hours and into the night, Rue Montorgueil springs back to life as local residents of the 1st & 2nd arrondissements pack the cafes, bars and restaurants before heading to bed. There’s always something happening here! 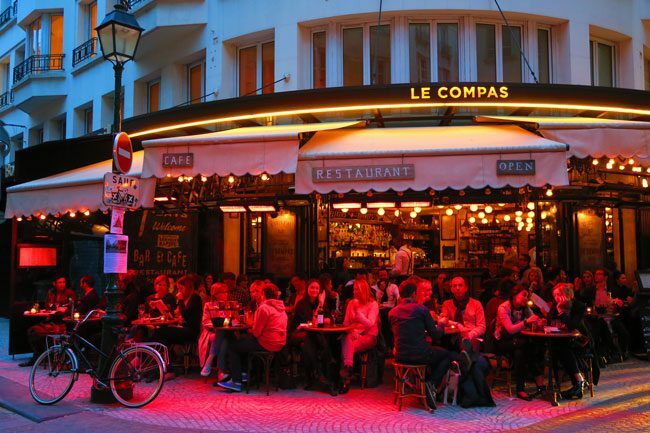 One of my favorites is actually just off Rue Montorgueil – Comptoir de la Gastronomie. I came here with friends as part of our culinary weekend in Paris and I can highly recommend their southwest French Cuisine. 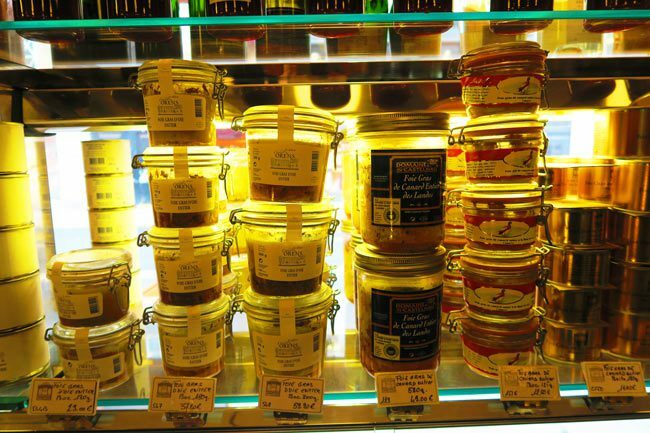 The service is super friendly and you should pay a visit to the restaurant’s shop for some local delights like foie gras, cured meats and other goodies. There’s plenty more around Rue Montorgueil. 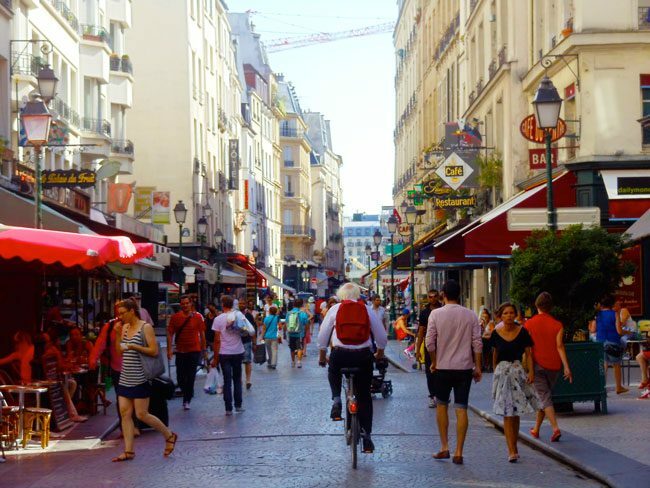 Have a look at this guide to the Paris Grands Boulevards. 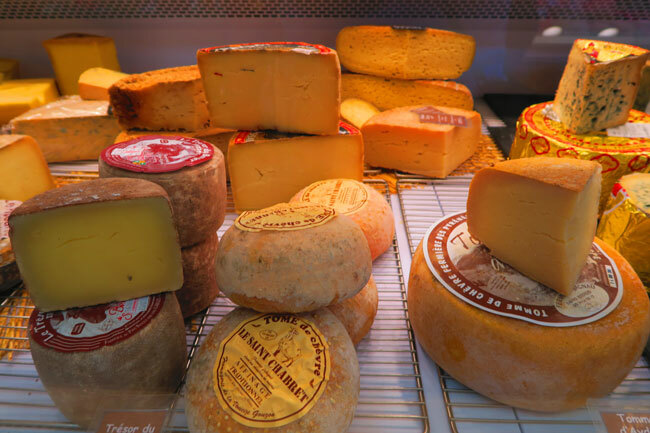 This was my favorite food market in all of Paris and the reason for that is the vibe. The Bastille area is in eastern Paris, and the further east you go, the less pretentious things get. 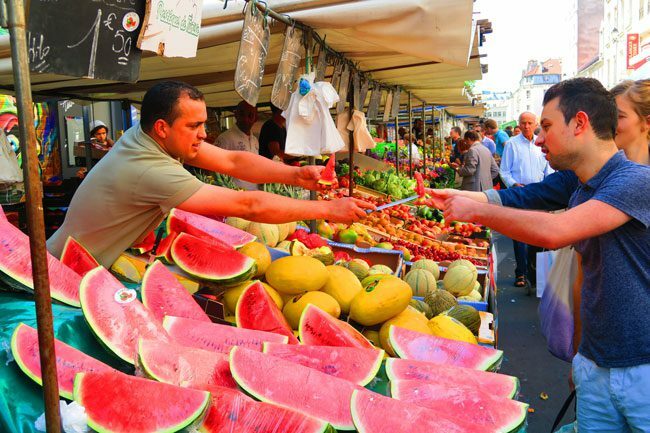 Animated by Algerian sellers, the Aligre Market is best visited during the morning hours when the streets around Place d’Aligre are packed with fruits and vegetable stalls that pretty much sell the same produce. So how to the sellers attract shoppers to their stall? Have a look at this video and you’ll understand why I love this market! 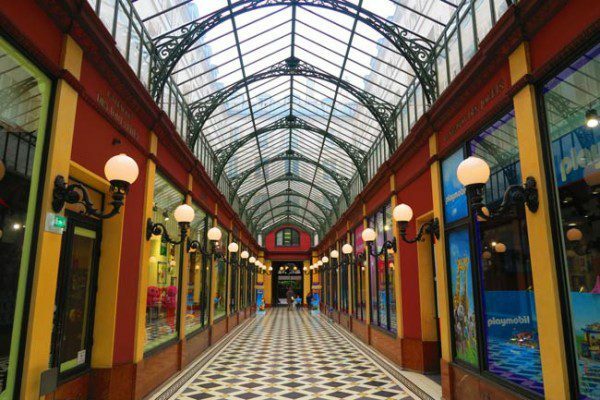 When you’ve bought your fruits and veggies, head inside the adjacent Marché Beauvau to complete your shopping list. 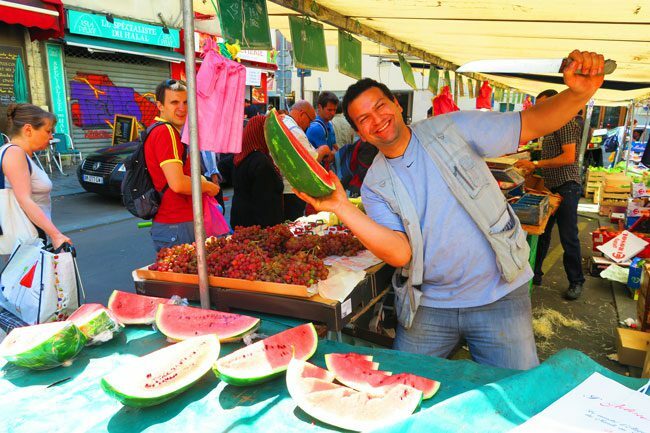 There’s lots to see around the Aligre Market! 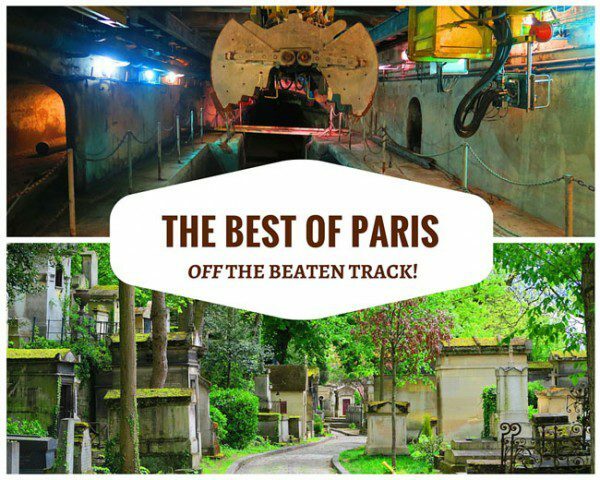 Read more about exploring the Bastille area of Paris. You’d expect things to be ‘over posh’ at the upscale 8th district but Rue de Lévis is the neighborhood exception. 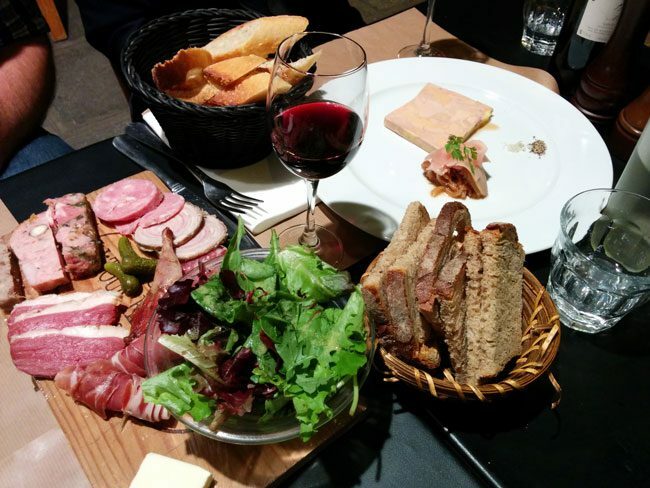 The flat where I spent 3 memorable months in Paris was just next door and Rue de Lévis was the place to come when planning a nice meal. 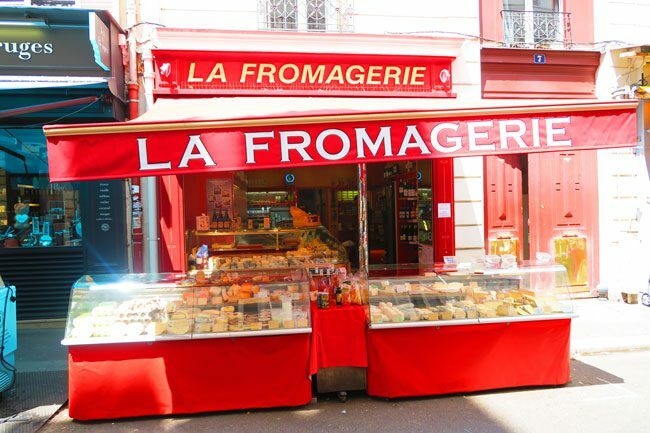 Though prices are slightly higher here, you’ll find everything that your mouth desires and get to see how local residents go about their day. I especially loved buying a roasted chicken for that Sunday lunch. It seems to be the standard Sunday meal around Paris and the way the potatoes get their flavor from the chicken roasting on top, is just irresistible. 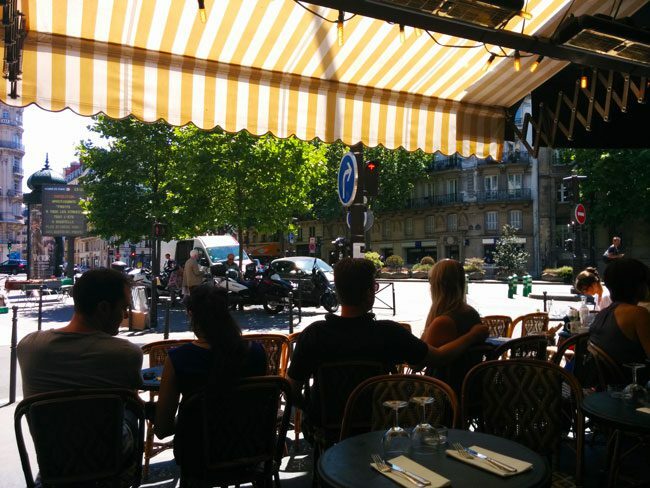 When you’re done shopping, grab a spot on the terrasse of Cafe le Dome and watch life go by over a long cup of coffee and a croissant! The lovely Parc Monceau is just next door so a picnic lunch might not be a bad idea! 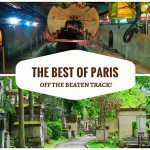 Rue de Levis and Parc Monceau are also covered in this guide to the Paris Grands Boulevards. I really didn’t expect to find any residential charm in the 7th arrondissement but discovering Rue Cler, led me to come back to this area on many occasions. 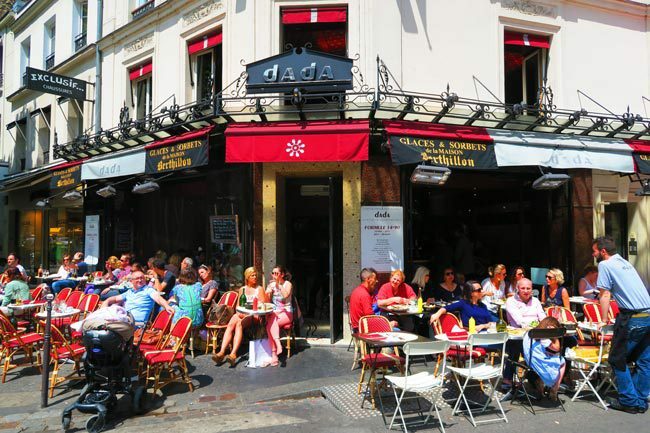 This short pedestrian street is filled with the usual culinary goodies and on sunny weekends, extra spots in the cafes are made available in the middle of the street. 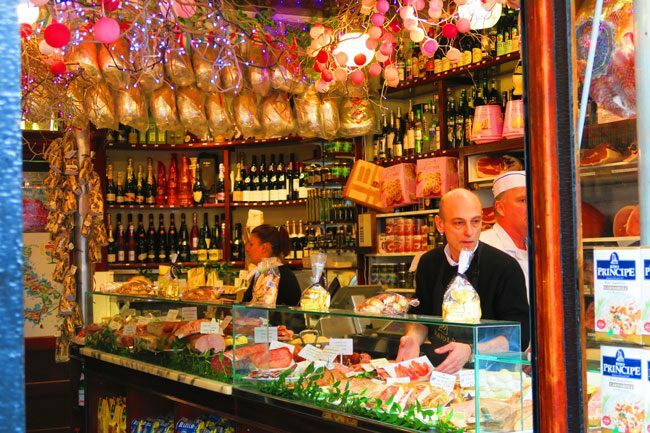 Be sure to check out Davoli, a family run delicatessen of over 100 years. 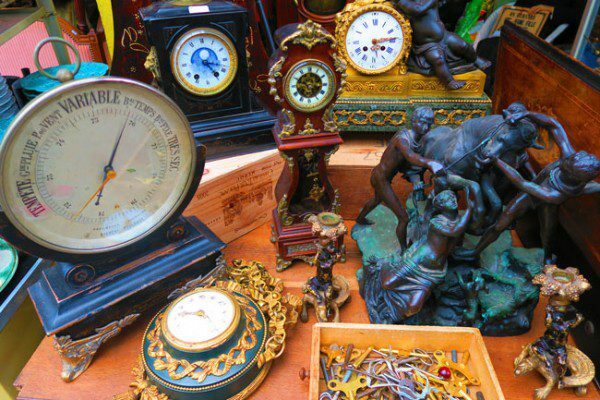 If you come here on the weekend, there’s a cool antique market around Rue Cler and whatever you do – head to the nearby Gâteaux Thoumieux for some of the best pastries in all of Paris! 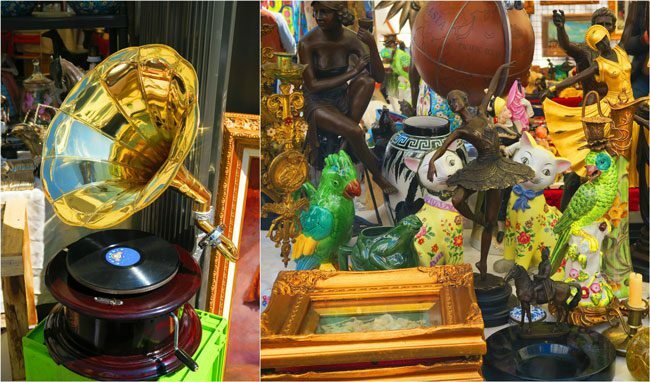 So close to the avenue that’s synonymous with glitz and glamour, yet a world away – Rue Poncelet is a tiny market street in the 17th arrondissement. 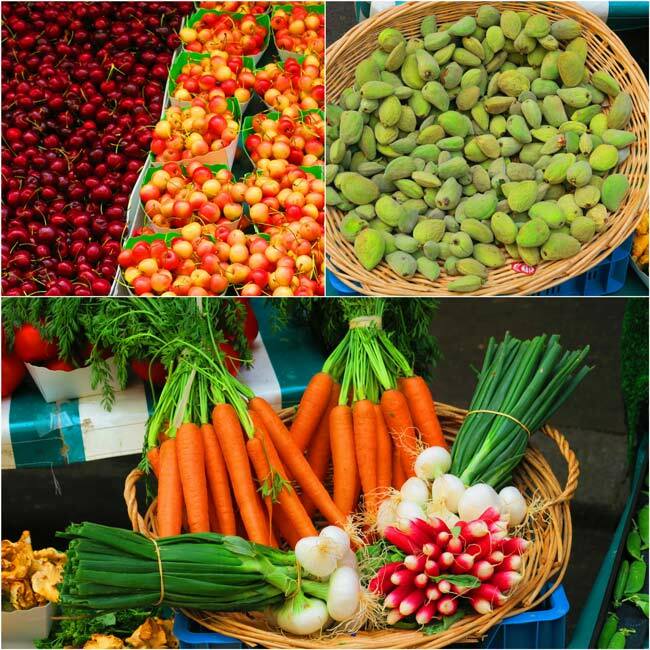 There’s a small but quality selection of fruits & vegetables, cheese and great seafood. 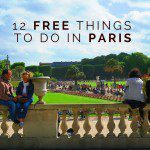 The best part is that all the tourists head straight to the Champs Elysees, so you’re pretty much guaranteed a local experience. 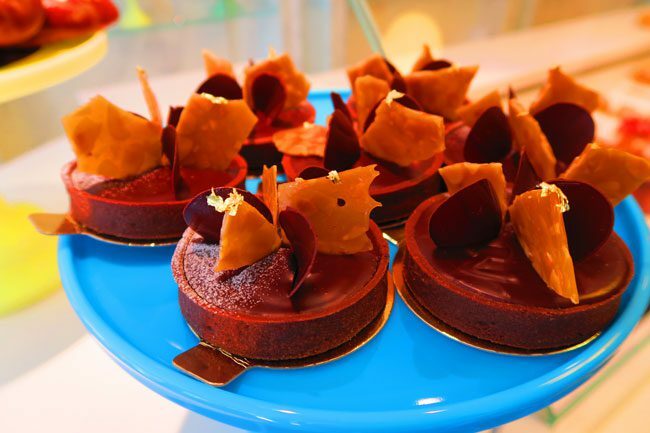 The cafes at the corner of Avenue des Ternes were buzzing on a bright Saturday morning and one of the best pastry makers in Paris, La Pâtisserie des Rêves, has a branch right here. 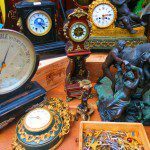 Don’t miss out on all the highlights in the Champs Elysees area, have a look at this itinerary guide. Back in the 1600’s, children dressed in red aprons from the local orphanage sold their goods in this spot and the name just stuck (the market of the red children). After years of neglect, the market is back up and running and though not very big at all, it feels super friendly. 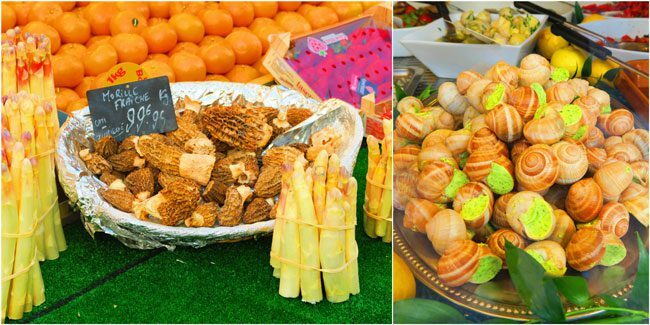 You’ll find here the usual selection of market delights, like fresh fruits & vegetables, cheese, bread and seafood – but you can also get here great ready-to-go food. 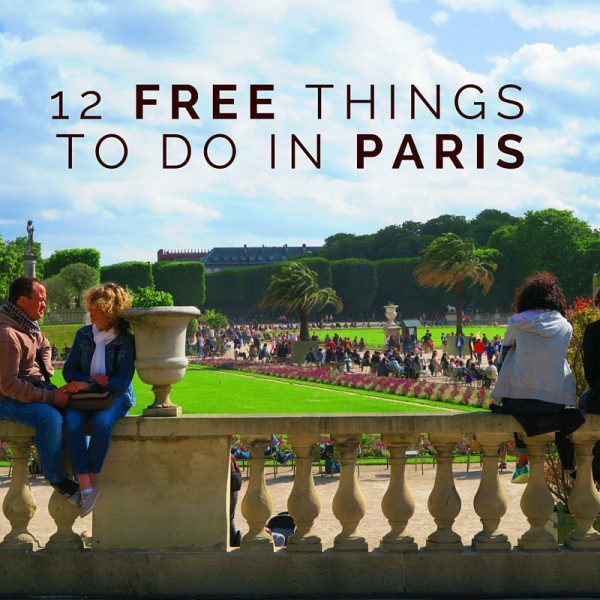 Since you’re super close to the Place des Vosges, you might as well buy a few things and head over for a lovely picnic if the weather’s nice. 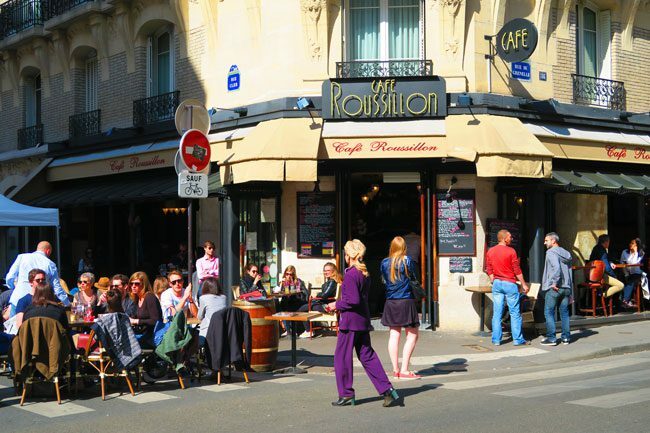 Right outside the market is Café Charlot and if you can find a spot on the terrasse – consider yourself lucky and grab it right away! 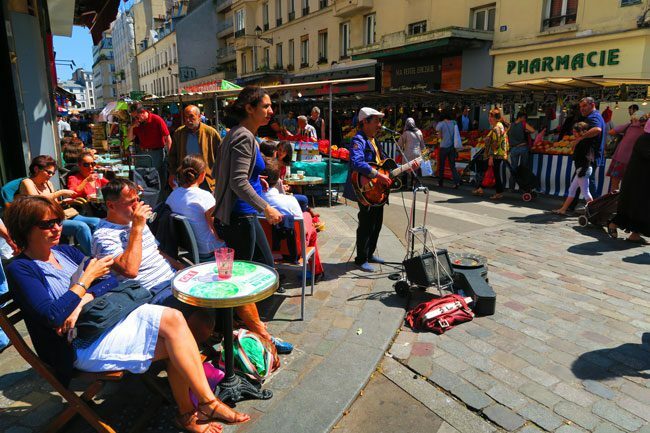 Sunday is the best time to visit the trendy Marais. 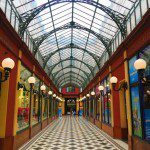 Have a look at this Sunday in the Marais itinerary. 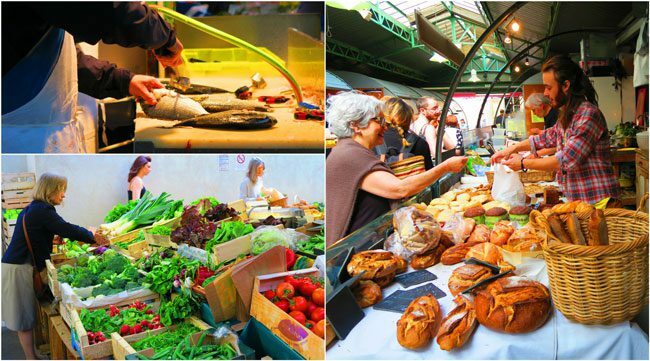 Continue to the next page and discover the rest of the best markets in Paris!